Extended health, vision, drug, and dental benefits available after probation period completed. Applications should include both a portfolio and resume. Thank you to all candidates for their interest, however, only those selected for an interview will be contacted. If you’re interested and qualified for this position, you may be wondering why Terabit.ca? So, we wanted to share with you what you can expect when working with our innovative and dynamic team! Are you a detail-oriented, creative and self starting individual? Have you always had a passion for marketing and developing exciting new ways to reach a target audience? If so, Terabit.ca would like to hear from you. We are looking for an innovative and enthusiastic Marketing Specialist to join the Terabit.ca team. The successful candidate will take on a lead role in developing and executing marketing strategies to reach our target audience and increase brand awareness. A Marketing Specialist should have extensive knowledge of marketing techniques, principles and concepts. In addition, successful candidates should have strong communication and leadership skills. As the technological and marketing landscape frequently evolve, the Marketing Specialist should be excited and capable of developing new marketing techniques as needed. Thank you to all candidates for their interest, however, only those selected for an interview will be contacted. Please email your resume and cover letter to careers@terabit.ca. 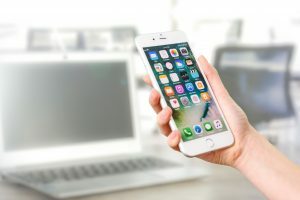 With fewer consumers browsing the web via desktop and increasingly more using the Internet on phones or tablets, it’s no secret that mobile apps have revolutionized the digital world and businesses. A responsive or mobile-friendly website is no longer an optional feature, but a necessity for remaining relevant online. As technology evolves, however, mobile-friendly websites may not be enough, as consumers are already gravitating towards the convenience of mobile apps. However, one misconception is that mobile apps are for large businesses, though this is far from actuality. Businesses of any size may benefit from a mobile app for many different reasons that are discussed below. Convenience is key, which is why mobile apps can be so effective in providing enhanced communication between you and your clientele. It is quite common for mobile apps to offer in-app help desks and chat support for assistance. The instant communication between your business and consumer could be what sets you a part from the competition. Mobile applications offer great flexibility, as they are available to users 24/7. Users can access your app with the touch of a button, which may not sound like much, but it saves them the hassle of constantly searching for your business and additional information online. In addition, according to Cyber Gear, 80% of the time spent on mobile devices is spent using apps. An app is another digital outlet to display all your business has to offer and in turn, enhance your online exposure and visibility. Furthermore, brand recall can be increased via push notifications from the app. Terabit.ca’s developers and designers have extensive experience not only creating mobile-friendly websites, but mobile applications. Terabit.ca has seen first hand the importance of going mobile. The Terabit.ca team can develop mobile applications for Android, iOS and Blackberry, as well as Windows Mobile platforms and app stores. For any development/design inquiries, click this link. We would be pleased to hear from you. keep up to date on our latest updates!, contests and more. "The Terabit staff has been very responsive to our needs and the quality of their work is impressive, I can confidently recommend terabit.ca as a solid and reliable development firm, and experts in their field."